The BTG junior high program is designed for students between the ages of 11-14 who require more intensive practice of classroom skills, but benefit from learning in a group setting. 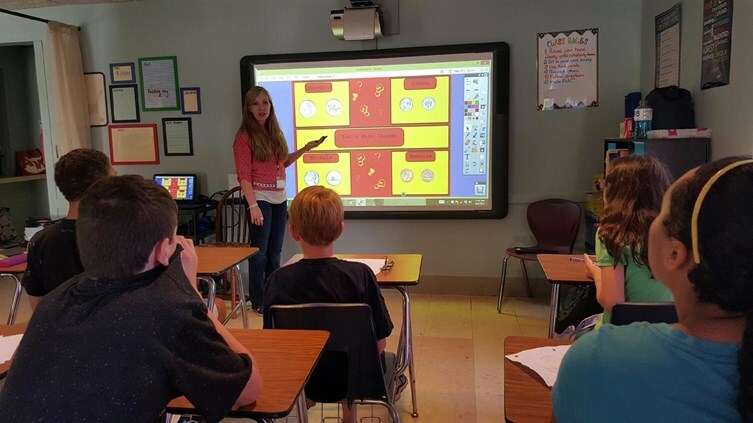 The BTG model includes the use of applied behavior analysis (ABA) principles and a classroom setup modeled after a mainstream middle school classroom. Teachers work together to increase attention during group instruction, with one teacher leading a group lesson and the other serving as a shadow. Students also receive individualized small group instruction for their core academic subjects. 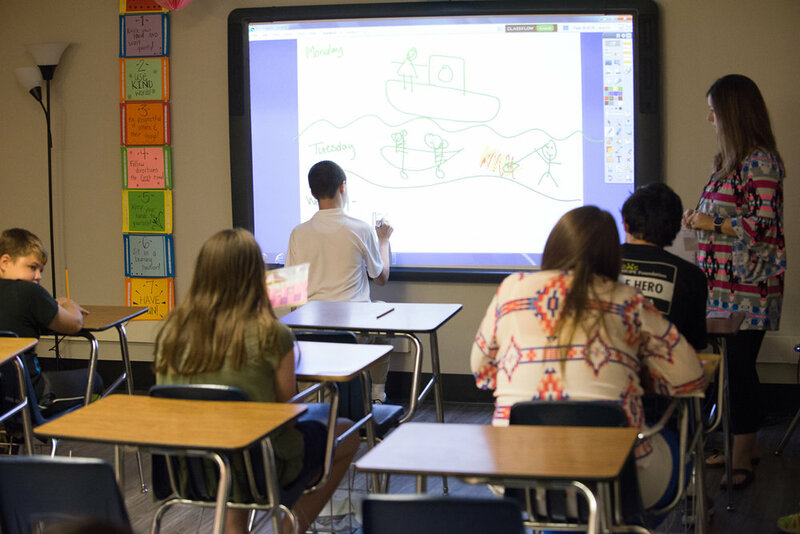 BTG classrooms are set up with a 4:1 student-to-teacher ratio. The BTG program has a mix of certified teachers and Registered Behavior Technicians, all of whom receive extensive training on the principles of behavior and classroom management. Students are placed in classrooms based on a variety of factors, including social and academic skills. A consistent curriculum across classrooms allows teachers to individualize goals and meet students at their individual level. BTG junior high allows students to make academic, social, and behavioral gains by utilizing a fast-paced, fun environment. The Middle School program also utilizes an extended school day (8:15am-4:30pm) to target functional life skills such as cooking, money management, daily chores, and self-care. Students are able to participate in weekly community outings where they are able to practice skills such as ordering food at a restaurant, shopping for specific items, exchanging money, and manners. This class is unique in it's blended instruction of academic, social, behavioral, and life skills. David began working with Project Hope Foundation as an RBT in 2015 while studying Secondary Education at USC Upstate. Since then he has worked as the assistant teacher in the Senior High classroom before accepting the role as Lead teacher for the Junior High class. David’s favorite part of his job is seeing students succeed at a task that once seemed impossible and the pride that they have in themselves for sticking with it. He looks forward to seeing his kids grow and seeing the strides they make throughout the year. He is passionate about serving our students and families and looks forward to growing with Hope as he works towards getting his BCBA. In his free time, you can find David spending time with his dog, Millie, or riding bikes with his cycling team. Jordan was born and raised in Columbus, Georgia. She moved to Greenville in 2016 for her husband's job. Jordan began working for Project HOPE Foundation in April of 2016. She began as a line therapist and a shadow in the classroom before accepting a position as a Classroom RBT. Her first experience in ABA was one year with The Autism Learning Center in Columbus, Georgia. Her favorite part of working at Project HOPE and in the BTG program is seeing the interactions between the children. When she is not at work she enjoys spending time with her two dogs, going to beach, reading, and spending time with family and friends.